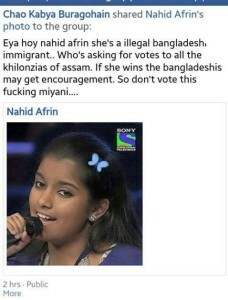 The 13 year old Nahid Afrin, who managed to leave the audience awestruck with her performance, has faced Bangladeshi slur before Indian Idol Junior 2 finale. 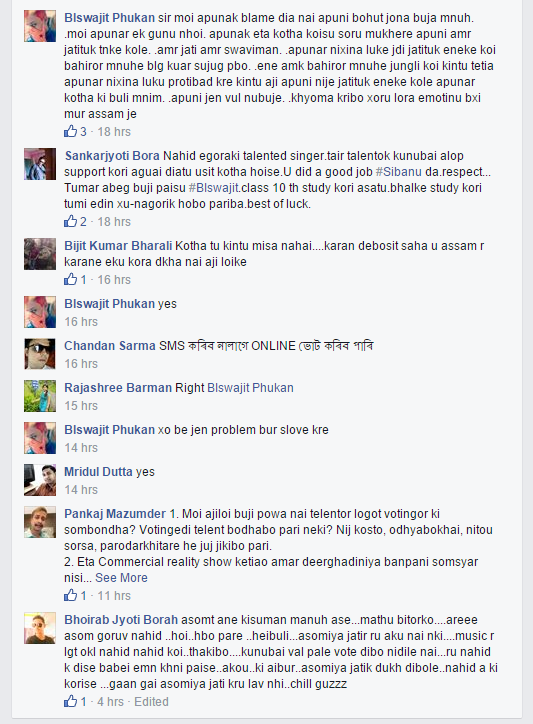 Nahid Afrin who hails from Biswanath Chariali, Sonitpur district of Assam has won the hearts of many which has made Assam Chief Minister Tarun Gogoi and other prominent MLAs voting in her favour for the Grand Finale of Indian Idol Junior 2. Elements in the social media are taking to brainwashing the public by posting hate comments on her identity and this has evoked strong criticism. A Facebook user recently posted hate comments on her being an illegal immigrant! “Her father works in DRDA as a Junior Engineer and she rightfully hails from Sonitpur district. I don’t understand why such statements even come about in the first place,” said a fan of Nahid who is of the view that such users need to be reported. “It’s sad but many of us in the Northeast have lost our basic sense of thinking. Sometimes I feel that we are going backwards. I have seen so much of this illogical writings in the past year that it makes me worried, “ opined a well wisher who was of the view that people should not take such hate speeches lightly and rather report to the Police immediately. 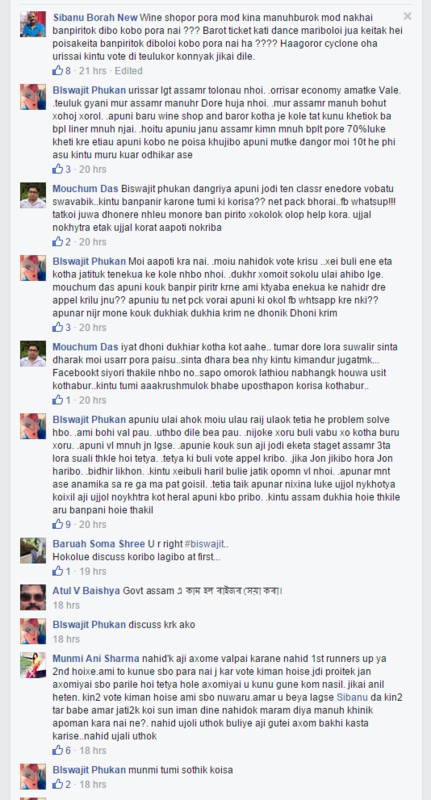 While gathering information from Facebook we have found another serious discussion held couple of days ago.